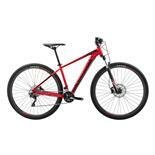 Superfly is THE choice for the aficionado seeking the fastest, most advanced, best 29er out there. The first carbon bike I've owned. The bike is light, fast and fun. The bottom bracket bearing wore out earlier than I would have expected. Awesome Bike , Great improvement with the new 142 thru axle ,wow ,awesome stiff. I am 6' 230lbs , Bench 350,squat 650,this bike is a great at climbing and it goes down almost as well. Love the G2 ,always have. I have owned many mtn bikes (20+) ,if ur lookin for a fast climbing machine that descends very well ,this is a great choice. Just got mine ,it's wonderful. I will let u knw in August how it held up. 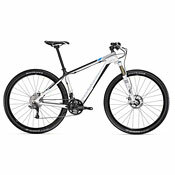 I rode 1700 on a rd bike last yr and 400 in the woods,look to do 1,000 in the woods on this. Trek Superfly 29er rules. 2014 trek ex 9, salsa Horsethief 2014, Nukeproof Scalp,Cannondale super six evo , E5 SL Smartweld, Trek mamba,Cannondale scalpel & rush and many many others owned by me. regarding the frame, none. Components, there is Supefly 5 - 9, you get what you pay for, choose the class which suits you and your budget and upgrade what ever you like, mainly the wheels I would recommend. I am rating the Superfly 2014-2016 alluminium frame. Superfly 5 – 9 have the same frame and are priced according to components selection. 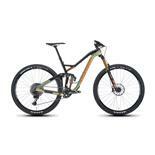 My frame is Superfly 5 2014 size 18,5 virtual. I wanted this frame. Components, I upgraded practically everything. Since it was introduced in autumn 2013 I really wanted it. At the time I was still happy with the previous superfly frame design (riding the Paragon 2011) and did not quite realize what can be improved. Compared with the previous frame, this one has: more size options (added the 18,5 which I have), closed convert dropouts - 12x142 rear axle option, internal cable routing, shorter chain/seat stays – stiffer frame, curved seat tube – better pedaling angle and BB are app. 0,5 cm lower which results in better stability. After riding the Paragon 2011 for app 3 years I switched to this Superfly 2014, riding feel is noticeably better. I can not say that the difference is dramatic, but it is noticeable, I have just a little bit more riding confidence feel. Highly recommended. Fast, climbes faster than my colleagues at the office, and is much easier to control. I simply love this bike, almost as much as my wife and Stabak football team. It beats me older bike (Specialized Sumpjumper) in every respect. Everyday use showes it is faster, and it is much easier to controll. For me it also feels more responsive when climbing. Gary Fischer X-Cal, LaPierre 529, Specialized Stumpjumper. Fast, responsive, great technical capabilities for an XC bike, wonderful handling at all speeds, strong brakes, great fork, great price, cranks are easily upgraded due to being compatible with many different hollow tech type cranks. If you can only have one bike this is definitely one to look at. The few gripes I had with the 2014 Superfly 5 (the lowest model available) have been fixed for 2015. The upside of not having those upgrades was that it pushed me to swap to parts that are superior to what you will find on the current stock models. I like going fast but I wanted a bike that could handle the technical sections like a trail bike. The SF definitely fits that bill even on stock components. I swapped in 2010 Bontrager Rythm Elites and paired them with Team Edition 2.3" XR3 tires. The bike is now faster due to the better wheels/hubs but also handles better due to the more aggressive tires and stronger all mountain wheels. I also changed to a single ring and dropped some weight and maintenance that way. Not everyone will want it set up like this but for me it's the best way to go. The bottom line is that the Superfly is light, maneuverable, fast and fun. I've gone back and forth on the same trails with this 29er and smaller 26" wheeled bikes and I can honestly say that even on the tightest of trails this 29er doesn't give up any maneurerability due to it's bigger wheel size and it's much faster on everything else. I know a lot of people go with the carbon frame on this board, and some of them have had durability issues. I just can't justify that extra money, the alluminum frame is already super comfortable for a hardtail, fairly light and I don't have to worry about cracking issues. I've had zero reliability concerns over the last 1200 miles and the only wear item I had to replace was the chain. Even the XR3 tires which have over 700 miles on them at this point look like they will be able to go a lot further. Handles technical sections well for an XC oriented bike. A bit heavy for a bike in this category. Rather have a 2 X 10 drivetrain. 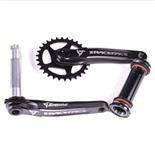 Crank set should be upgraded. Needs race tires (Bontrager XR1s are good all around tires, but not so "racy" like the Schwalbe 29er tires. This bike is fast if you are, and handles flowing trails like a dream.For an XC oriented trail bike it handles technical, mid west style hill riding really well. I've taken some crazy jumps on it just fine, bombed ski slopes, hopped a lot of logs, ridden really fast. I thought to change out handle bar for a straight, but I feel they dialed in the cockpit really well with the slightly bent handlebar it has. It has Deore/ XT, but not the shadow version. It didn't feel as crisp as the Specialized Crave at the price point, but felt more forgiving, definitely better downhill. The Crave felt maybe a bit jumpy in comparison. Pretty paint job, great geometry, and well thought out frame. However, what I have since discovered is that you're not getting an entry level race bike for this price point ($1,300-$1,500) (although it's billed as such), but really just a more XC oriented hardtail trail bike. My naivete. Now I have to upgrade the wheelset to get ready for some races. (I'm new to XC racing.) I put a remote lockout on it too. The 2015 model has a remote lockout standard, but I believe there was price creep on the 2015 model. More people I know ride Specialized, but some seem to love Trek, too. Piece of advice: don't buy to save money-wait til you can spend the money for the bike you want, or you will spend more upgrading over the long run. I purchased a $4,700.00 Trek Superfly Elite (carbon frame), when after a few rides the frame cracked (as did many others). Trek (the company) replaced my ELITE with an entry level DELUXE. After the LBS received the frame, I knew right away this was an inferior cheaper frame. The obvious feature was NO replaceable dérailleur hanger and the fact that it weight a quarter pound more than my original frame. Prior to purchasing my Superfly, my inquiry to the bike shop retailer with regard to warranty was explained as- "Trek will replace with the exact frame, if the exact frame is not available they replace with the next model up" THAT WAS A COMPLETE LIE. Trek was insistent that the replacement frame was identical to my original. When I asked them about the weight difference and replaceable dérailleur hanger, they had no answer and just hung up. Great frame for aluminum category ! Fantastic brakes ! Decent shifting. Rides quick ! The seat. The seat. The seat. 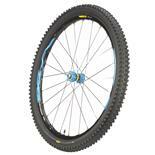 Bike supplied with non tubeless compatible tires. A decent reliable Shimano drivetrain with excellent brakes and an awesome (for aluminum) frame. TREK 2014 Superfly 6. At about $1650 this would make a great casual race bike or a better bike touring load hauler with its nice frame. These should be out there at a discount now that the 2015 models are coming out. A better wheelset, tires, and seat are all this bike needs. bought a 2013 Superfly in July 2014. Got great price from City Cycle in Corte Madera. Love the way the 29" tires roll over terrain that was slow going on my Klein Attitude w/26" wheels. Actually bought it to replace a Specialized carbon road bike that was stolen. I put 700c x 38 mm Michelin road tires on the rims and it handles great on pavement. Love flying over the trails with the stock 2.2" MTB tires. Shimano brakes are quiet and confident. Had to get 2013 model to get triple crankset. 2014s are all compacts. I use that 3rd front chainring all the time, on the road and on trails. Very happy with the bike. Great geometry. Fast, fun and flickable. Good component spec's on the 2014 version. Bontrager components are surprisingly good. Very sensible overall component specs. Love the blue and white. White seat on a mountain bike? Who's idea was that? Grips are a little firm. Really great bike. I test rode Cannondales, Spec's, Jamis and a number of others. I loved the ride and handling of this bike. The slacker front geometry takes out the twitchyness I noticed with several bikes. Decent bottom bracket height and good overall proportions. I just could not believe how fast I was on this bike.